Head over to Alabang Town Center now! 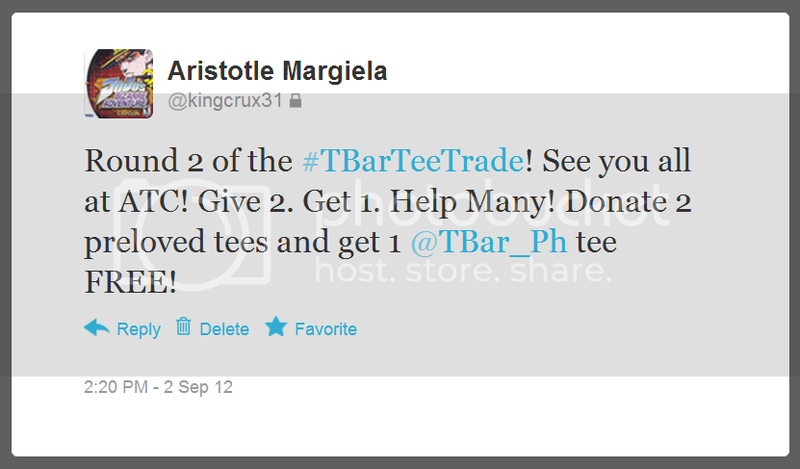 Donated tees will go to flood victims. Follow T Bar on twitter or like them on facebook.